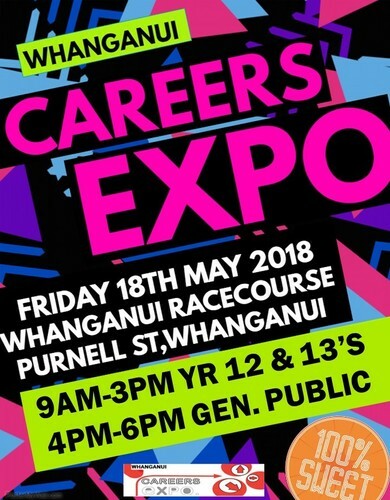 The bi-annual Whanganui careers expo is on for 2018 with over 50 exhibitors from all over New Zealand across a multitude of education and employment fields. Tertiary studies, apprenticeships, armed services, tourism, and vocational pathways. Whanganui and Rangitikei Year 12 and 13 secondary students will be coming throughout the day. Come and have a look what options there are for your child at the public session from 4pm - 6pm, entry is free.